The study, involving leading vascular access expert Mauro Pittiruti from the Catholic University Hospital in Rome, sought to assess a new, modified intracavity (IC) ECG technique to detect the ideal location of CVC tip placement in patients with AF and compare it with transoesophageal echocardiography technique. 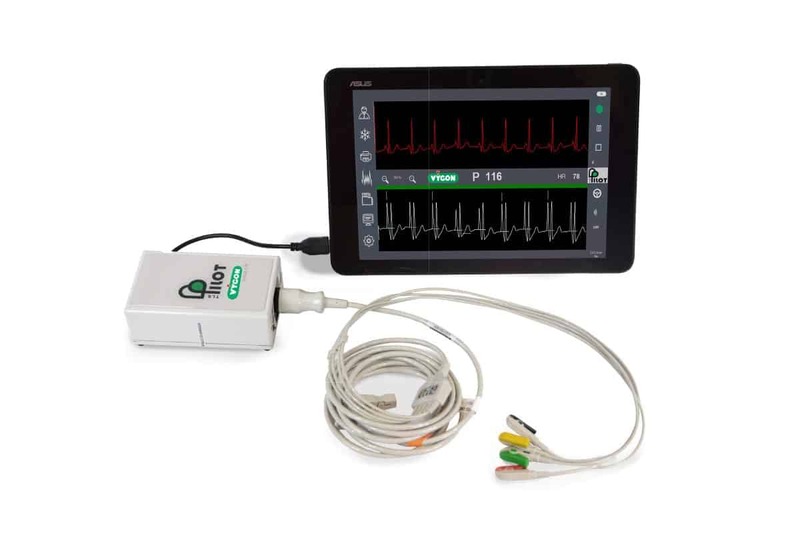 The new method is based on the maximal electrical activity of the TQ tract to locate the junction between the superior vena cava and the right atrium (SVC/RA), rather than the traditional IC ECG technique, which focuses on the maximal height of the P wave. In patients with AF, the depolarisation of the right atrium is not synchronized and the TQ tract does not contain one single P wave but multiple ‘atrial waves’ (f waves) so the junction of SVC/RA corresponds to the maximum activity of the f waves (in terms of frequency and height). The study authors used three calculation methods and one of them, where they manually measured the difference between the maximum f wave and the minimum f in millimetres, is the method which is used by Pilot TLS™ . The advantage with Pilot TLS™ is that the data is automatically calculated and it is the only dedicated system for CVC tip location to offer this alternative mode for AF patients. Concluding their findings, the study authors further recommend that the new technique should replace other tip location methods currently used in AF patients, such as fluoroscopy or post-procedural chest x-ray because they are less accurate, more expensive and less safe than IC ECG. Method C – Measurement of the widest difference between maximal positive peak and maximal negative peak.